Fullerton Paint & Flooring is a licensed hardwood flooring company in Orange County with more than 20 years of experience and an excellent reputation for exceptional service and results. We offer an impressive selection of wood floor options, including domestic solid wood, such as oak, maple, and ash; exotic solid wood, such as Brazilian Cherry, Australian Cypress, and Asian teak; and engineered wood. 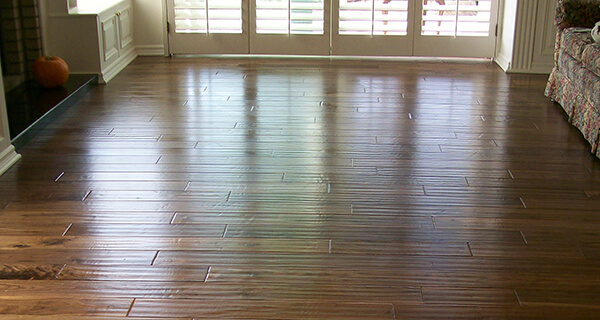 Additionally, we provide expert wood floor installation, recoating, refinishing, and repair services. Because we are committed to customer satisfaction, we always recommend time-tested, quality products, use the industry's best practices, and stand behind our workmanship. We keep our prices highly competitive and consistently deliver beautiful, long-lasting wood floors to elevate the look of any room. We have access to a large selection of solid wood flooring from trusted national brands, such as Shaw, L&M, Rewards, and Gemwood. Because all of our solid wood flooring installations are fully customizable, you'll have your choice of hardwood species, color, plank width and length (including wide-width planks, parquet, etc. ), finish, and stain. 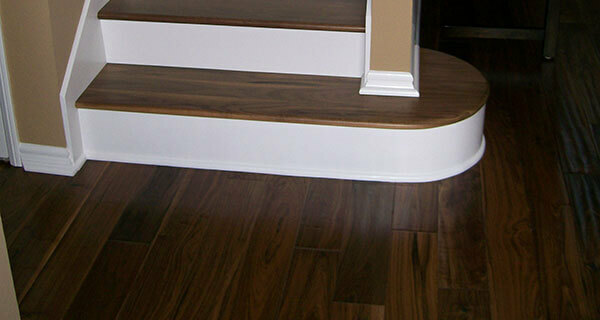 We carry premium hardwood finishes made by General Finishes, a trusted supplier among contractors and homeowners. If you prefer the distressed, hand-scraped, or wire-brushed wood floor look, we can do that too. Engineered hardwood flooring is an excellent solution for areas prone to moisture, such as basements, bathrooms, utility rooms, and kitchens. Because engineered wood flooring comes prefinished, they require less time to install than solid wood flooring. They come in a diverse range of designs, colors and styles and are often less expensive than the price of solid hardwoods. Our in-house staff of qualified installers have the experience and knowledge to know how to get exceptional results each and every time. They accurately measure each room, order the proper amount of materials, and determine the best underlayment substrate and installation method. Having the proper underlayment is critical for achieving spectacular-looking wood floors that last. The underlayment, often made of either cork or rubber, guards against moisture and reduces surface noise. Visit our Anaheim showroom to browse our flooring inventory and to speak to one of our experts about your wood flooring project. 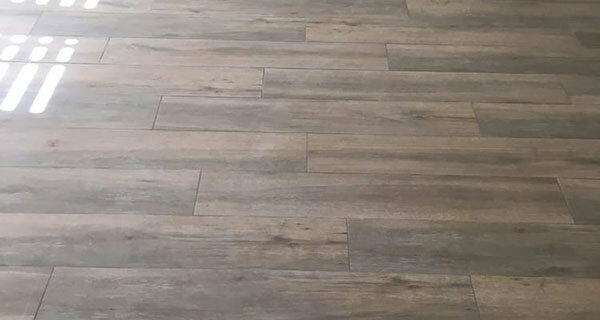 We have completed hundreds of flooring installations throughout Orange County and can typically install flooring within a week, depending upon the scope of the project. Installing quality hardwood floors in your home or office can represent a substantial investment and bring added value to your property. However, when they are not properly maintained, they can look dull and worn and become more susceptible to fading, scuffing, scratches, dings, and other damage. If neglected for too long, the floors will need to be completely refinished in order to restore their original beauty. Fullerton Paint & Flooring offers home and business owners throughout Fullerton, Anaheim, Yorba Linda, Placentia, Orange, Brea, and surrounding areas professional hardwood floor refinishing services and hardwood restoration. Using a professional sanding machine, we're able to buff out most superficial damage and expose a fresh layer of wood that can be given a new color or appearance depending upon the stain and finish you choose. During the entire refinishing process, we take measures to keep your home or office free from dust and debris with protective coverings and thorough cleaning. Most hardwood floors have specific care recommendations to keep them in prime condition. This can include using a specific set of cleaning products as well as having the floors recoated on a specific schedule. By keeping up with your wood floor's recommended care and maintenance, refinishing should not be necessary. However, if regular maintenance has been neglected, Fullerton Paint & Flooring can provide wood floor recoating and maintenance services for your Orange County home or business at an affordable price. We can also perform small repairs. With all of our flooring services, we work efficiently and cleanly to ensure your refinishing project is done on time and with minimal inconvenience. Call us to schedule an appointment or stop by our Anaheim showroom to tell us about your flooring needs. 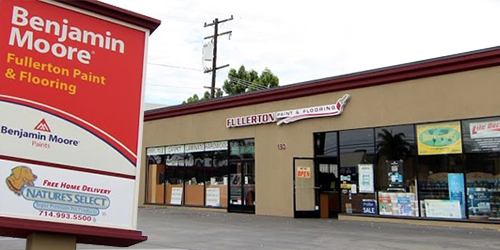 We've used Fullerton Paint & Flooring for years and years. They did a great job replacing our kitchen floor, from selection to installation. They're always great with paint selection and mixing. The owner came to our house to consult on vintage wood floor repair, and gave us very honest and helpful information on the options. They are the best.